Indian Athlete Neeraj Chopra wins India’s first gold in athletics at the 2018 Commonwealth Games with his season’s best throw of 86.47m. Neeraj has become the first Indian to win a medal in the event. He also became the fourth overall and third-ever Indian man and to grip an athletics medal after Milkha Singh in 1958, Krishna Poonia in 2010 and Vikas Gowda in 2014. In his six attempts, Neeraj worst throw came with 83.48m, but it was more than the throw of Australia’s Hamish Peacock at 82.59m, who claimed the silver. Chopra led from the front after a sparkling throw of 85.50m to move to the top place right. Chopra continued with an enthusiastic performance, throwing a season-best of 86.47, previously best was 85.94m. Interestingly, the throw was only 0.01m more than his personal best of 86.48m. The 20-year-old, Indian Athlete who held the best throw among all the javelin throwers from the Commonwealth Games this year was India’s best bet in the field events. After clinching gold at the IAAF World U-20 Championships in Bydgoszcz, He had become the first Indian athlete to become a world-champion in a field event, with a record throw of 84.69m. 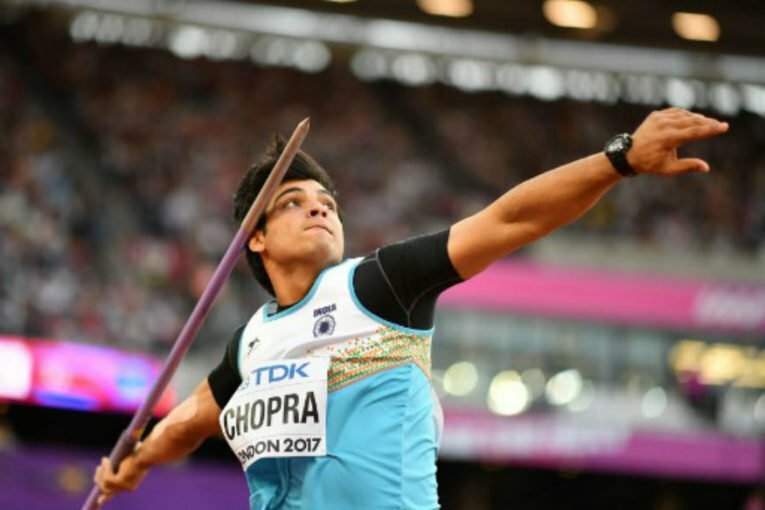 Chopra had further created a new U-20 world record with the throw, surpassing the previous record of 84.69m by Latvian thrower Zigisimunds Sirmais. Since his path-breaking feat, Chopra, although not passing that throw, has stayed within touching distance. In August 2017, he won a gold medal at the Asian Athletics Championships in Bhubaneswar with a sensational mark of 85.23m. At Federation Cup 2018, he did even better. Although he had already qualified for the Commonwealth Games, he challenged himself and set a new record in Indian soil of 85.94m, in what was his final attempt of the competition. Having trained without a coach and proper guidance for much of his career, he then had to deal with the reversal of Gary Calvert’s quitting, under his direction, he set the national record. He is now training under former World Record holder Uwe Hohn but has begun training separately in Germany. Vipin Kashana, the other Indian in the fray, also showcased a good effort, with the best throw of 77.87m in six attempts to finish fifth.